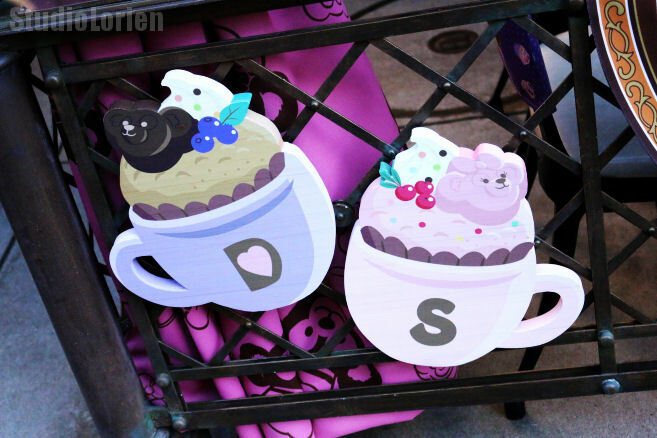 It’s one of my favorite seasons at Tokyo DisneySea! 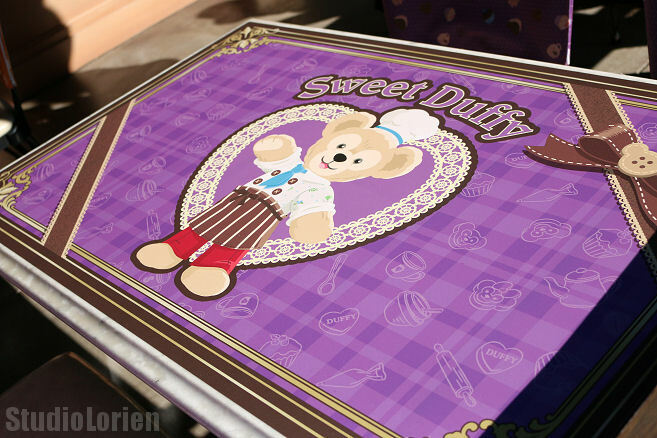 The season of valentines and Sweet Duffy is here! 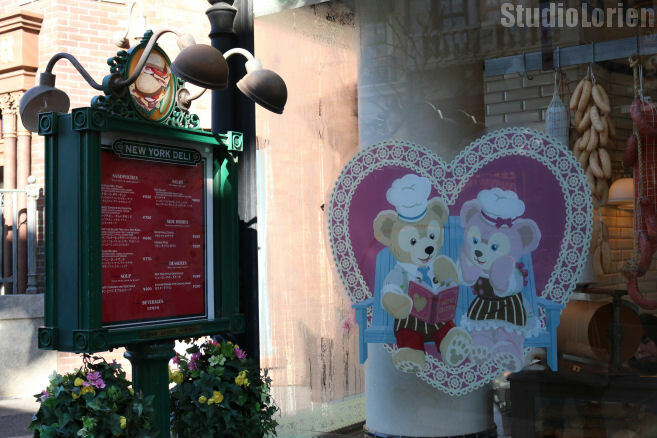 I only ventured as far as the American Waterfront because I had to meet a friend for lunch at the Hyperion Lounge to try the Sweet Days menu! 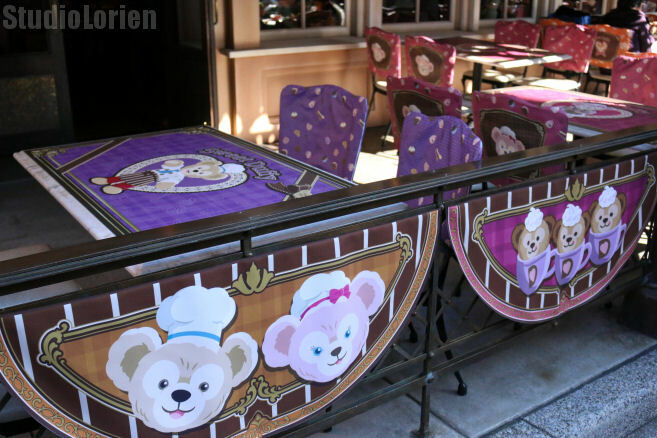 This is going to be an image heavy post, but I hope you will enjoy the cuteness of Duffy and his friends. 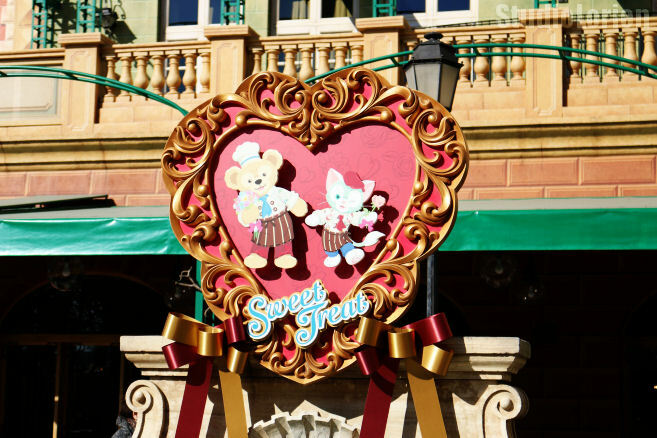 This year Gelatoni has joinned Duffy and Shellie May on the decorations around the park and he has his own costume too. 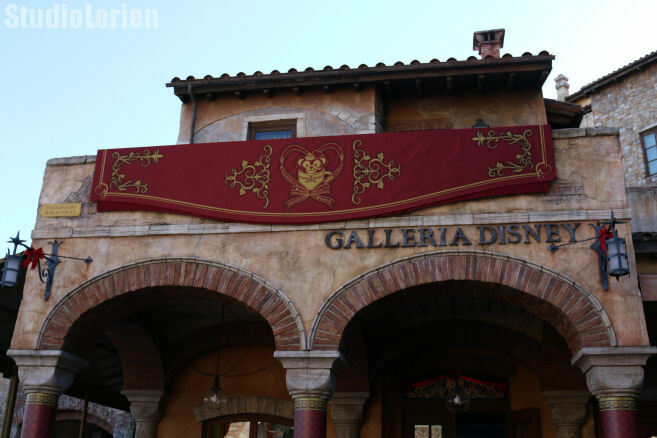 As you walk in to DisneySea you will see a very cute banner decorating the storefront of Galleria Disney. 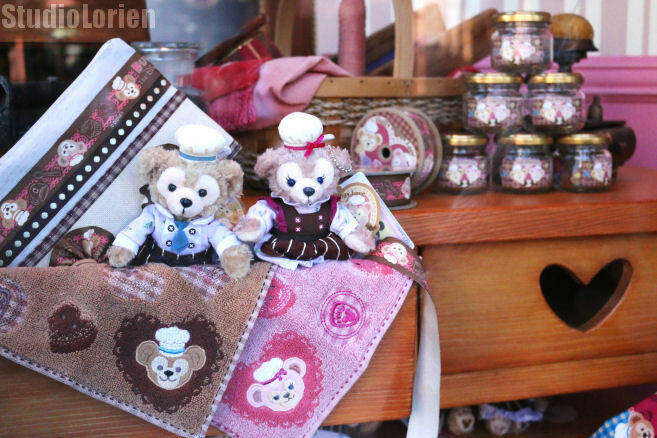 I went the day that Sweet Duffy merchandise went on sale so there was a very long line wrapping around the store. Gelatoni! I’ve heard people saying that they feel bad for Shellie May because she’s always left out. What do you think? 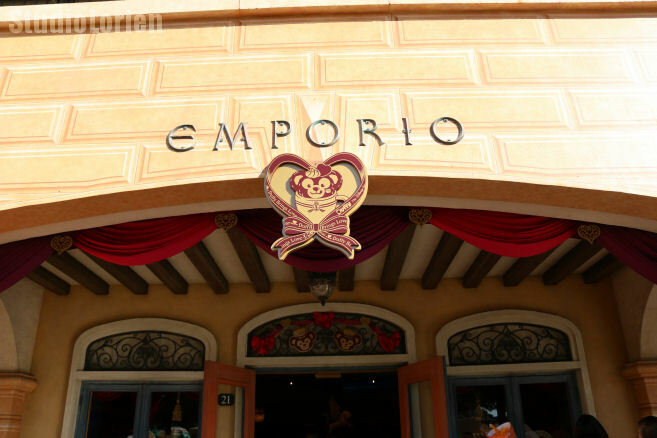 The front of the Emporio was decorated with a cute Duffy treat. 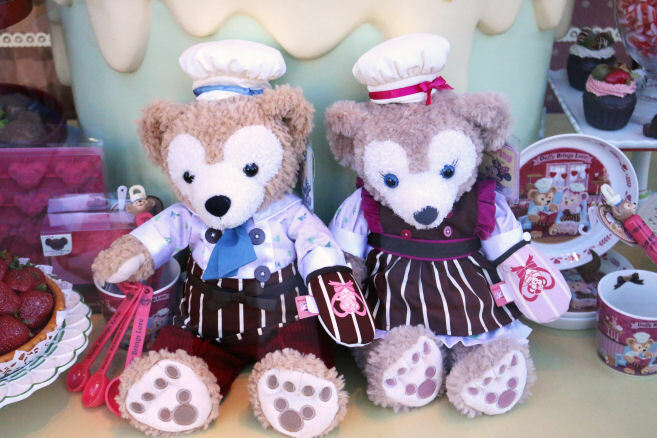 Duffy and Gelatoni again! 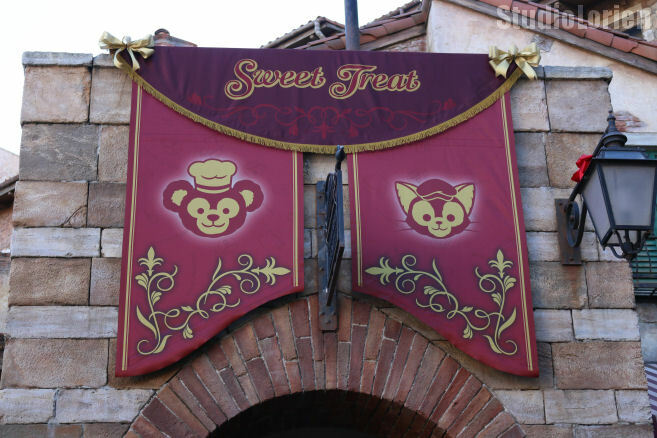 I guess the Mediterranean Harbor is Gelatoni’s area. Notice the size difference? I guess Gelatoni is a small cat. 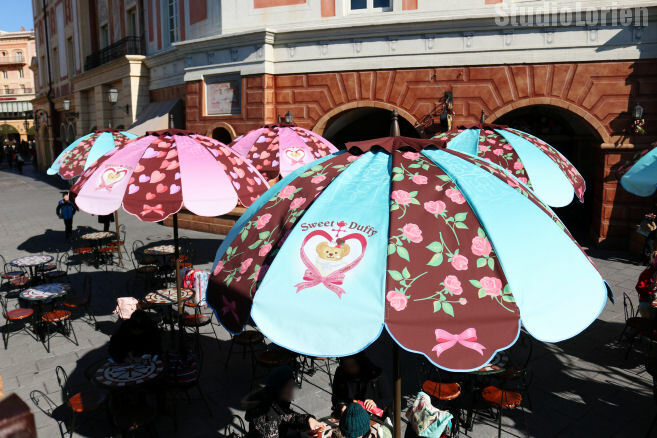 Very cute Sweet Duffy parasols! I wouldn’t mind having one of these to take to the beach. 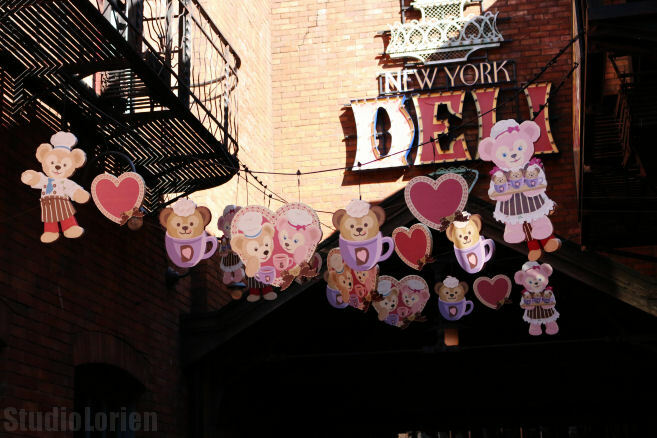 The entrance of the New York Deli! Finally we see Shellie May! 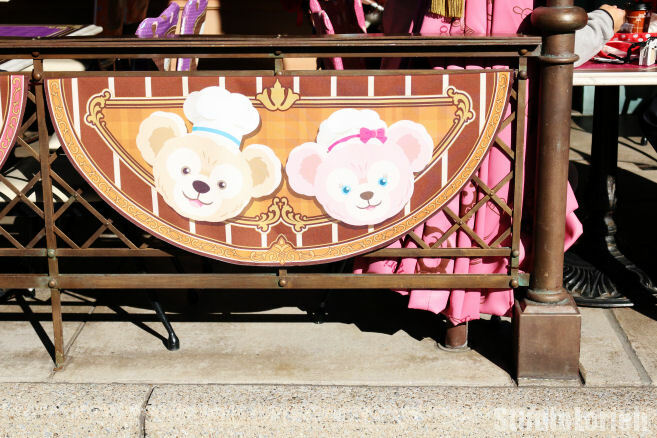 Duffy and Shellie May looking super adorable! The front of the New York Deli. I wish these decorations were up throughout the year. This year’s table top decoration is super adorable and it’s purple!! Please excuse the brightness. 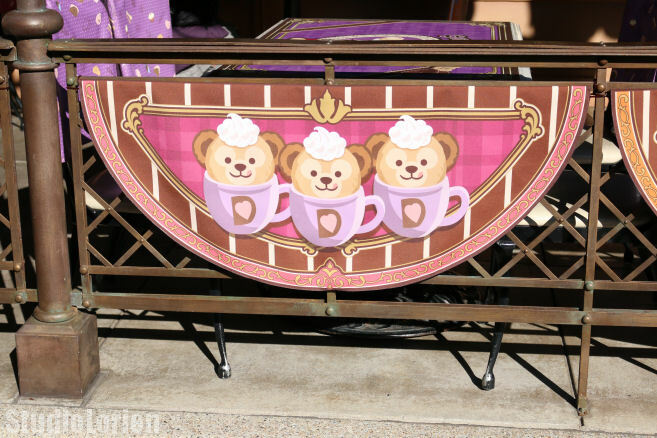 Cute bear faces! The store display window for McDuck’s! Another display window! I love this photo a lot if I do say so myself…! Next visit I will venture farther into the American Waterfront area and see what Cape Cod looks like this year. Hopefully merchandise chaos will have calmed down by then and I’ll be able to take a look at the shop displays as well. 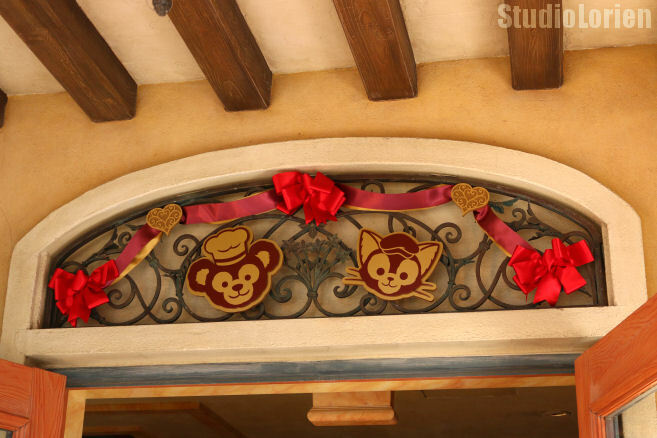 The Mediterranean Harbor also has more decorations around Zambini Brothers’ Ristorante and I’ll check that out as well! 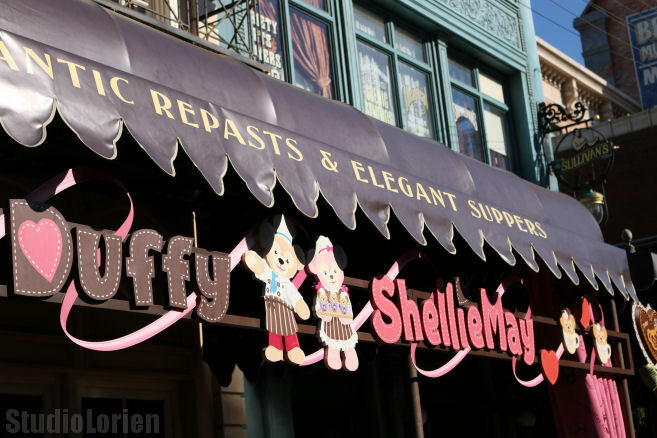 I have my Duffy and Shellie May dressed in their Sweet Duffy costumes from last year and plan to take them around to all the special photo spots! Keep your fingers crossed for sunny weather!